The RX100 III Vs G1X Mark II comparison. It's another one of those epic battles. This one features a Sony vs a Canon. Once purchased, each buyer argues in favor of their own. Canon loyalists will brag about the size of the sensor and the longer zoom range of the Canon G1X Mark II lens. The Sony fans will counter with the Sony RX100 Mark III's built-in viewfinder, its smaller size and superior video capabilities. 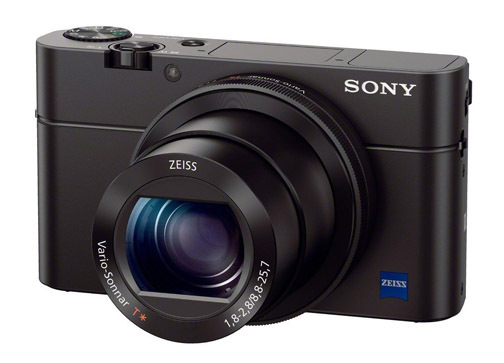 I believe the smaller size of the Sony RX100 Mark III is its biggest selling point. It really can slip into a pocket for easily carrying it securely without worry of it dropping out of a purse or waist-level pouch. The edge it has in video capabilities would be important if you use it primarily for video, but with the Canon G1X Mark II the video quality you get from the big sensor is excellent too. Secondly, the convenience of a pop-up electronic viewfinder is a big plus in my opinion. It stores easily away when not in use and keeps the size of the camera small. 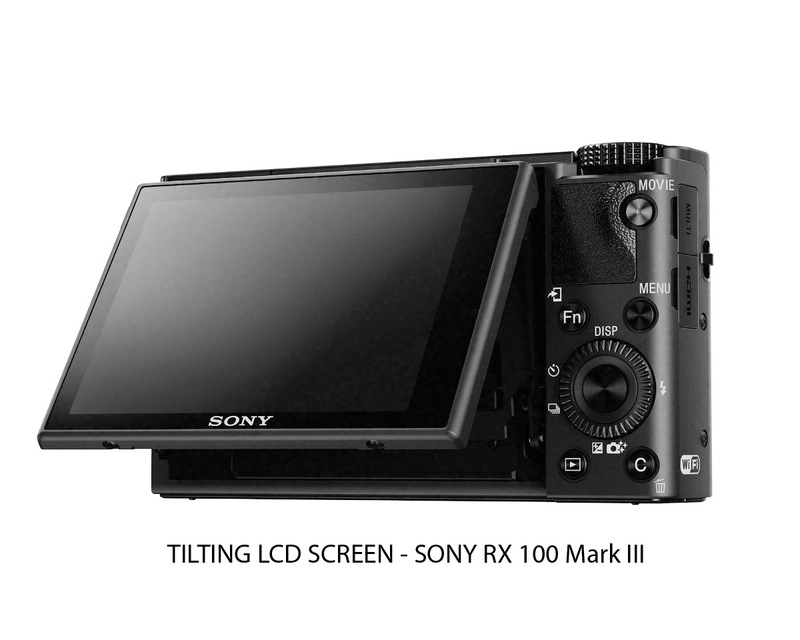 This tips the RX100 III vs G1X Mark II scale toward the Sony. That's my own personal bias, but for me, it's very very important. Sure I've taken plenty of photos with my smart phone and they've all been taken by using the touch screen. 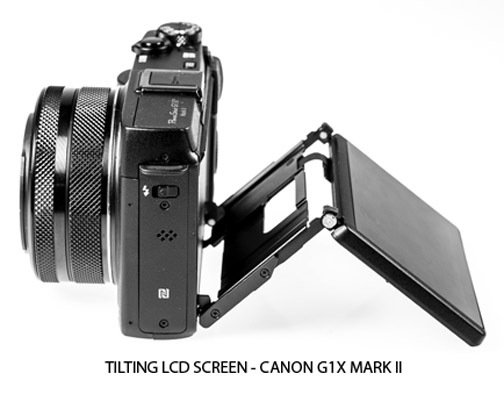 I've use the tilt screen on my G1X Mark II, tilting it downward while holding the camera high above my head. It's just a better situation to compose a photograph while look through a nice bright viewfinder. The biggest selling point for the Canon G1X Mark II is its sensor. Sensor size is the biggest factor in image quality across the board, and particularly true at higher ISO settings. This is the most important consideration for me in the RX100 III vs G1X Mark II. because I prefer natural lighting (higher ISO settings often needed) to the harsh shadows and wimpy output that built-in flashes provide. When I do use flash I use my Canon 270 EX II Speedlite on the G1X Mark II hot shoe, which is sorely lacking on the RX100 Mark III. The 270EX II is small enough, powerful enough for snap shots, and it has the ability to produce bounce lighting. Many point and shoot photographers will not be as enamored with the extra zoom power and lower aperture capabilities of the G1X Mark II, but I like the superior Bokeh you get with the G1X Mark II lens. The Sony zooms from 24-70. The Canon zooms from 24-120. That's almost twice as close as the Sony. The RX100 III wins this battle if you are looking for a camera that is truly pocket-able. 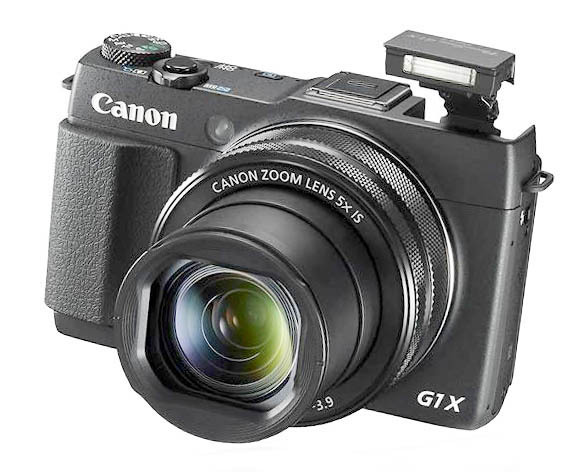 It is smaller, thinner, and lighter than the G1X Mark II. In defense of the G1X Mark II, it is pocket-able if you have very big pockets. The Canon Powershot G1X Mark II is about 15% taller and about 30% longer. The big difference is the thickness. The G1X Mark II lens is made bigger to cover the bigger sensor of the Canon. The G1x Mark II is about 60% thicker, front to back, mostly due to the thicker lens, its bigger coverage area and longer zoom range. The Sony RX100 Mark III weighs a little more than half as much as the G1X Mark II. LCD screens are an important feature of every digital camera because they are used so much during the picture taking and viewing process. Both of these cameras allow you to rotate the screens upward 180 degrees for taking selfie photos, a frequent occurrence in today's society. The Canon also lets you tilt the camera downward because of its double hinge. I often like to raise the camera above my head and shoot downward to get more interesting perspective. With the Canon it's easy to do. With the Sony, you can't use the LCD screen or viewfinder to properly compose your photo. Eyes become accentuated in portraits when the camera is held above your subjects and tilted downward, even if only slightly. 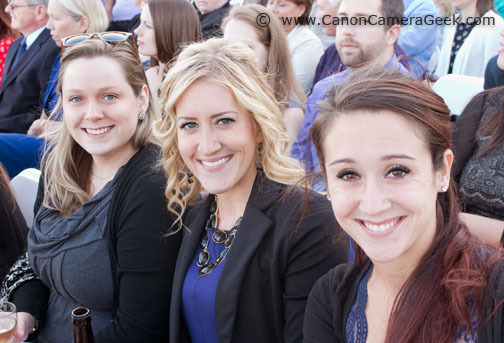 This photo of these three beautiful girls was taken using the G1X Mark II with the LCD screen tilted downward. The price comparison of the Canon and the Sony does not create enough differentiation to make a decision on whch camera is right for you unless you consider the added cost of the separate EVF viewfinder for the Canon G1X Mark II. Both of these cameras were significant improvements over their perspective earlier versions. The addition of the pop-up electronic viewfinder was game changing for the RX100 and the both lens re-design and the addition of the tilting electronic viewfinder on the Canon were just as significant. The RX100 III vs G1X Mark II battle is a hot topic in many of the forums on digital photography sites, but usually you can only get a few scattered opinions on a specific feature of a camera. That''s why I like to go to sources where there is a big collection of opinions all in one place. Have a blast with your photography! 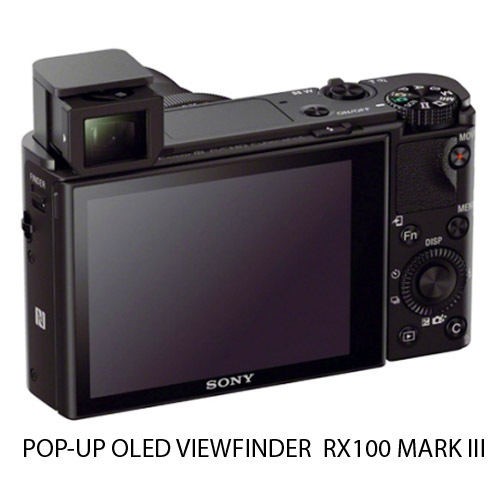 If you enjoyed this article titled RX100 III vs G1X Mark II, please share it with a friend. 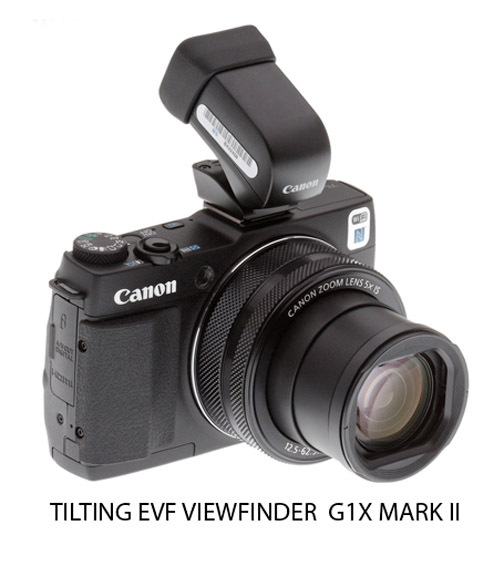 The tilting EVF viewfinder is really cool to use, although it adds size to the camera. I often use it in a tilted position like the photo above shows. The Pop-up viewfinder is easy to engage.